November Walt Disney World Recap, Castle Dream Lights, Mickey's Very Merry Christmas Party & Production Update. Merry Christmas Parties and the all new Castle Dream Lights! around the parks and resorts. festive holiday atmosphere at Mickey’s Very Merry Christmas Party! falling is an awesome sight made even better with the Castle Ice! (Thanks to Robert Bish for the great photos above). 1996 on Residential Street at Disney-MGM Studios. Happy Thanksgiving from the JeffLangeDVD family! 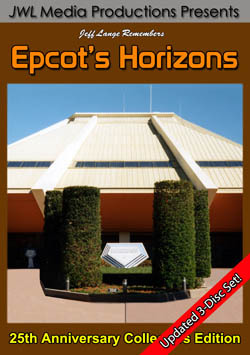 Seasons Greetings from Jeff Lange with this all new DVD from the 2006 Mickey’s Very Merry Christmas Party at Walt Disney World. The evening of yuletide fun begins as you enter the Magic Kingdom and enjoy the holiday decorations, festive music and snow flakes falling on Main Street USA. 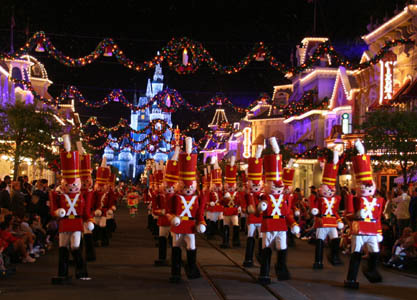 Your first holiday treat is Mickey’s Very Merry Christmas Parade. Mickey and Minnie are the grand marshals of this Magic Kingdom favorite that also features Gingerbread Men, Santa’s Elves, Toy Soldiers, Reindeer, Disney Princesses and the all new ‘Goofy’s Candy Shop’ float. The grand finale is an appearance by Mrs. Claus and Santa himself. The party continues with the enchantment of ‘Holiday Wishes – Celebrate the Spirit of the Season’. 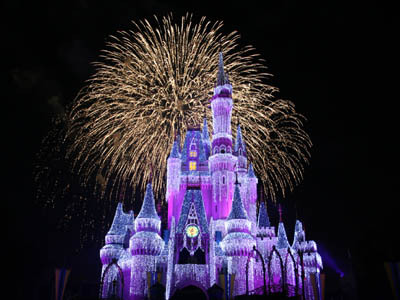 This fireworks spectacular lights up the skies over the Magic Kingdom and Cinderella’s Castle. The show is a combination of six ‘acts’ The Spirit of the Season, The Spirit of Holiday Wonder, The Spirit of Sharing Hearth and Family, The Spirit of Holiday Childhood Fantasies, The Holiday Spirit in Each of Us, and Christmas all around Us. As the show concludes you are surrounded in a festive 360 degree special fireworks finale. The final Holiday Treat of the evening is the ‘Celebrate the Season’ show at the Castle Forecourt Stage. This festive production features your favorite Disney Characters in segments including The Santa Claus Parade, The Nutcracker Suite, a medley of Christmas carols and a holiday sing along. The night concludes with snow, fireworks and confetti. 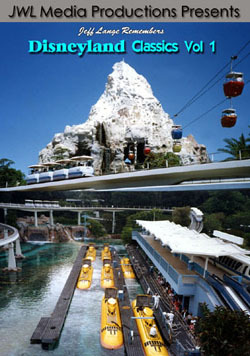 BONUS: Join the festivities at the Disney-MGM Studios for the ‘Hollywood Holly-Day Parade’. 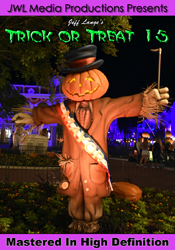 This bonus treat is a holiday version of the Disney Stars and Motor Cars parade featuring your favorite characters decked out in their holiday finery, parading down Hollywood Boulevard. 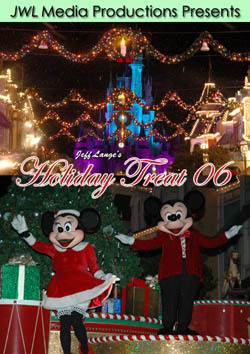 Pick up a copy of ‘Jeff Lange’s Holiday Treat 06’ today and relive all the magic or experience it for the first time. 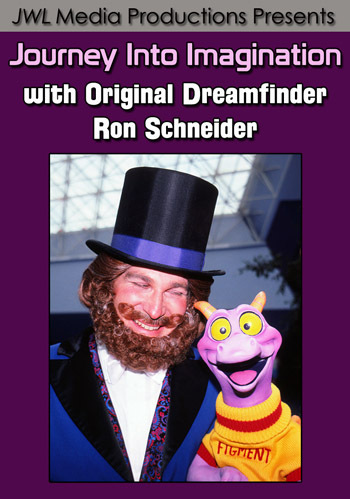 *Portions of this title were originally released as Jeff Lange’s Holiday Treat 2 (Currently Retired).